During thefieldrunner.com trip, I travelled 8800 miles on a motorcycle, crossing 26 states, shooting photographs and video along the way. I had to fit three complete camera systems into a single motorcycle case. Space was extremely limited and choosing the right gear was critical. Because of the limited space, I didn’t have the luxury of bringing my full shoulder rig. I needed something stable, bomb-proof, quick and easy to assembly, and above all, compact. For this trip I chose Zacuto’s smallest rig, the Target Shooter, along with the EVF Gorilla Plate Bracket, the Pincher, and the Zacuto Z-Finder EVF Pro. Let’s take a look at the rig now. The Target Shooter is the perfect rig for the shooter who is traveling light, and needs camera stabilization for cameras that are not too front-heavy. I was using compact, standard and wide-angle lenses on my D7000 for this trip, so the Target Shooter was perfect. When traveling, there are no set-ups, and you only get one chance to capture a shot, so monitoring was critically important. For that, I used the EVF Gorilla Plate Bracket to mount my Z-Finder EVF Pro. 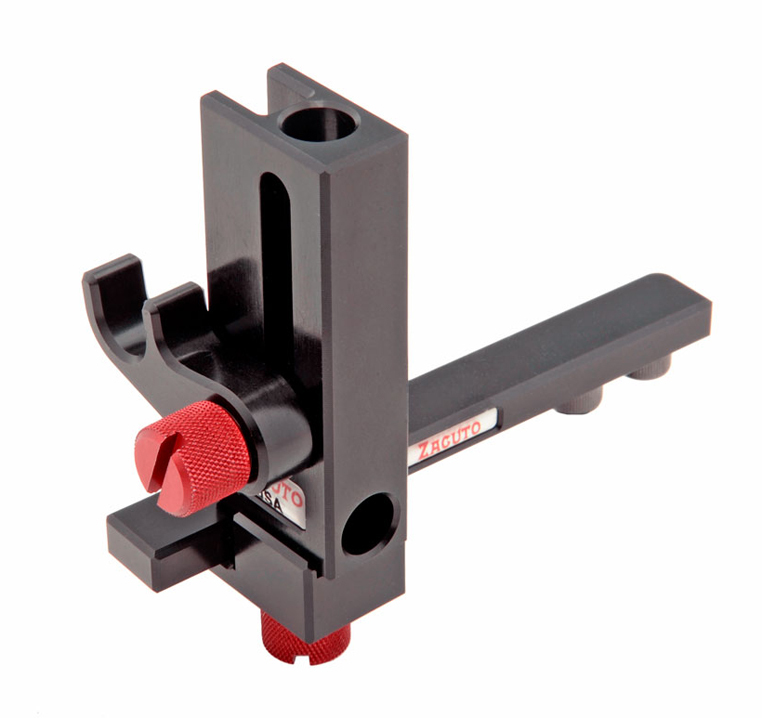 As is typical of Zacuto gear, the EVF Bracket is elegantly simple and rock-solid. The EVF mount is brilliant. The mount can be tightened to lock the EVF in place, or loosened to allow the EVF to be manipulated into position while shooting. The EVF itself is of course legendary by now for its ruggedness, ease of operation, and ultra-high image quality. The Pincher holds your HDMI connection in place.